When you live in an apartment, you often don’t have a grill. That is a pain I have suffered for many years. Grilling on a stove top isn’t the same and using an electric indoor grill is a nightmare if you don’t want your clothes smelling like meat for a week. Most people also can’t grill in the winter regardless of their grill status. With those thoughts in mind, this recipe imitates grilling/barbecue by using smoky spices and broiling to give you the next best thing without the grill or the home stink. I could not have been more pleased with how the chicken came out. It was tender, juicy, and I could taste all of the smokiness of the spices. 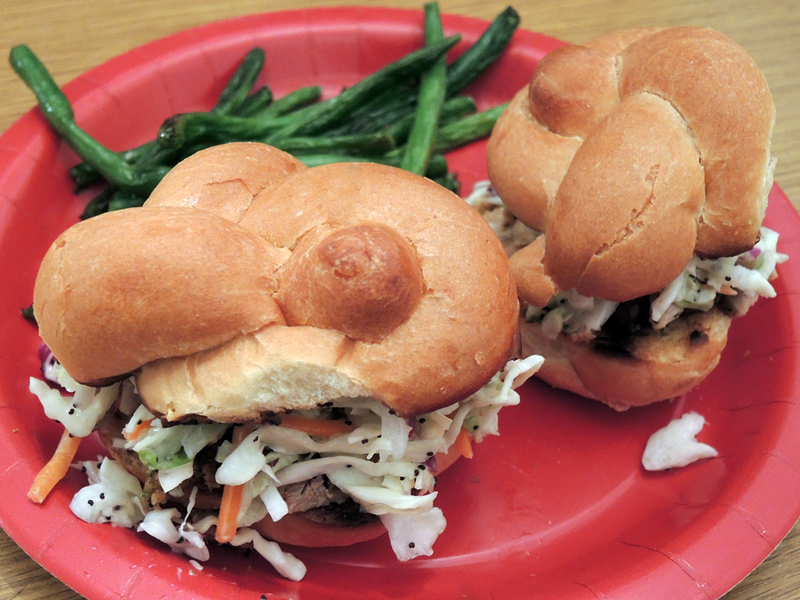 The end result of the sliders after adding a little bit of barbecue sauce and coleslaw turned out better than I imagined. This is a great substitute if you don’t have a grill or even if it’s winter and you can’t get to your grill. Some of this post was inspired by my trip to Brooklyn, NY where I got to try “Mighty Quinn’s,” for the first time. They make an incredible pulled pork sandwich with a touch of bbq sauce, coleslaw, and sea salt (check out my fancy salts at the bottom of the post). Makes about 8 – 10 sliders at 223 – 178 calories for 1.8 pounds or 260 – 208 calories for 2 pounds (not including extra toppings). 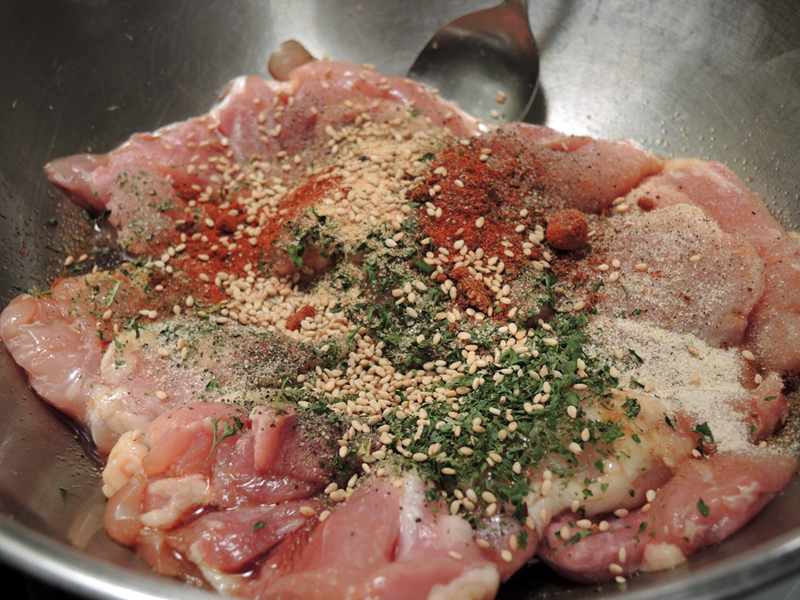 Place the chicken thighs into a large bowl. Add all of the spices, sugar, parsley, and soy sauce. Mix together using a large spoon or your hands (this is where latex gloves really come in handy). 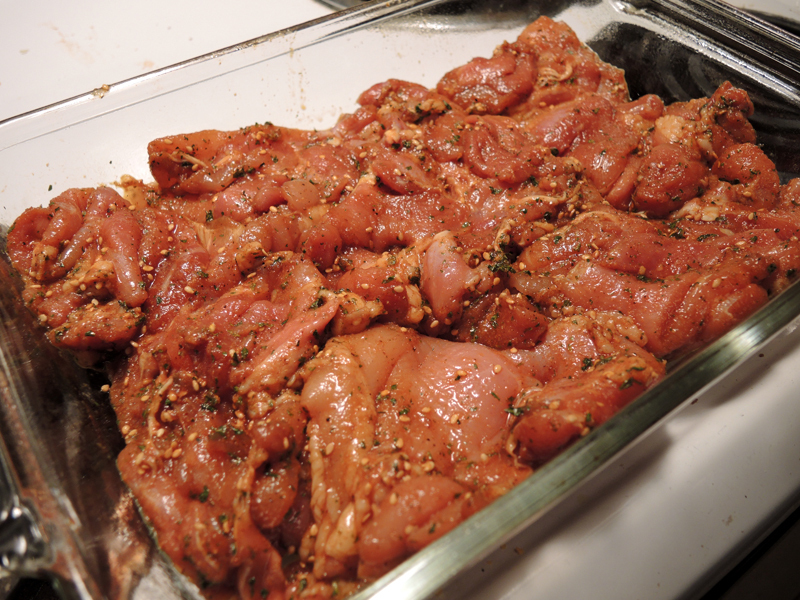 Let the chicken and spices marinate, covered, for about 20 min. This is not imperative if you’re in a rush. 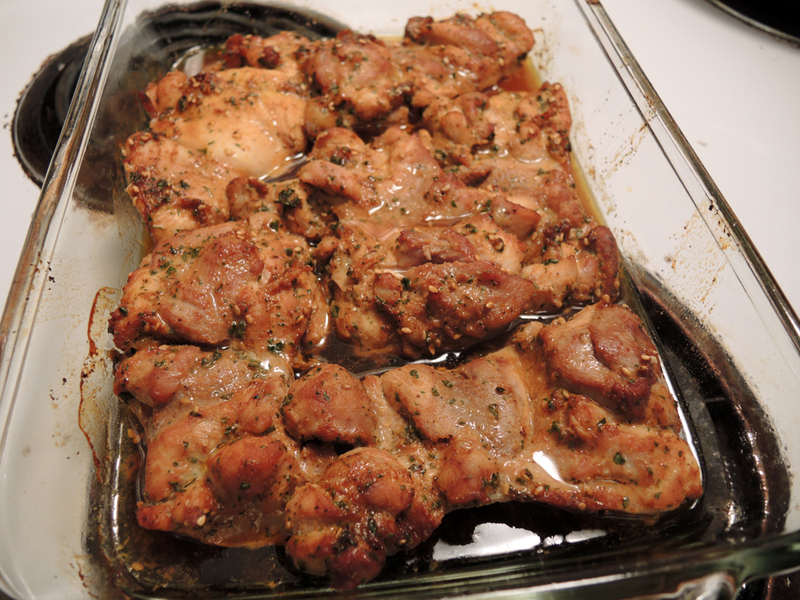 Place the mixed chicken thighs into the baking dish and then into the oven on the middle rack for 25 min. After 25 min, take the chicken out of the oven, flip each piece over, and then place it back in the oven on the top rack if you have an electric oven or in the broiler if you have a gas oven. Set the broiler on Hi and broil the chicken for about 5 minutes or until you get a little char color without burning or over-drying the chicken. Take the chicken out of the oven, turn the oven off, and set the chicken aside to rest for 7 – 10 minutes. 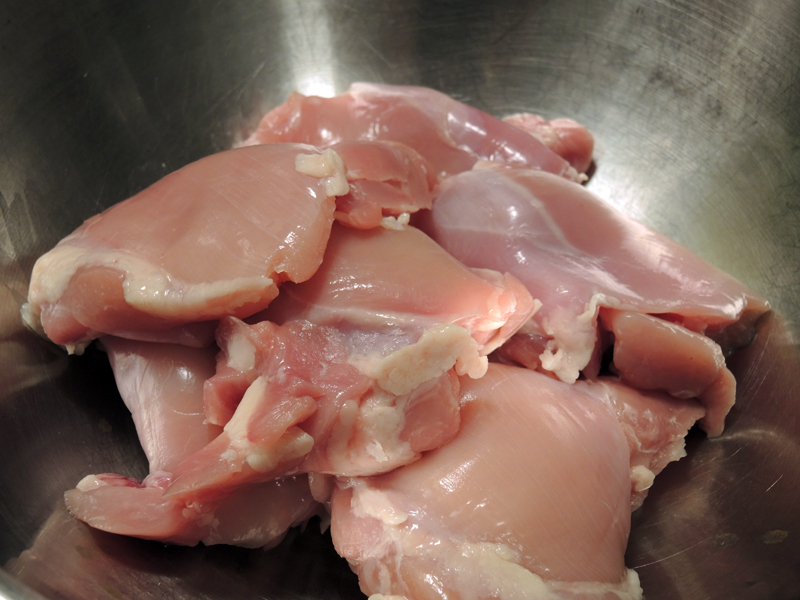 After the chicken has rested (so that you don’t lose the juices when you cut into the chicken), use a heavy knife to chop the chicken into small pieces. 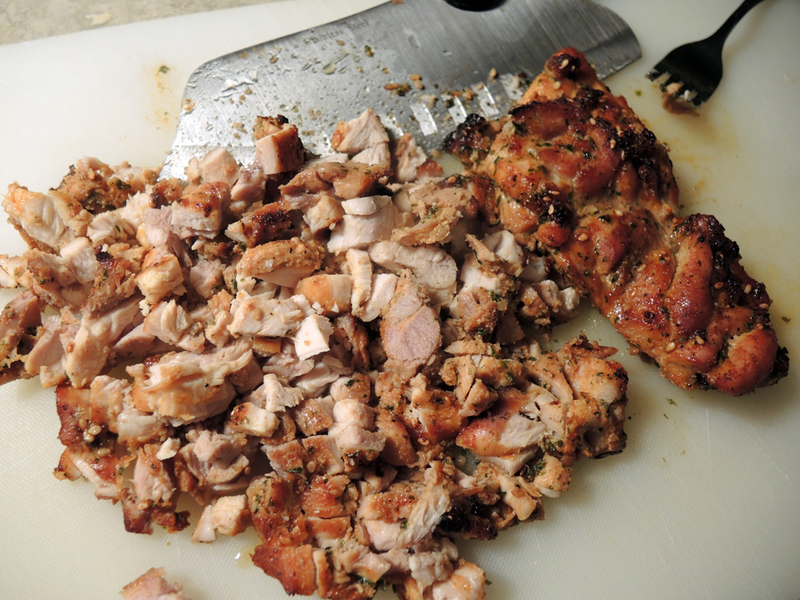 Slice up the small rolls/buns and make little sandwiches using a couple of large spoonfuls of the chicken. Toast the buns if you like with a toaster oven or a buttered griddle/pan. You can top the chicken with cheese, coleslaw, other vegetables, or BBQ sauce. I highly recommend a little bit of BBQ sauce and a spoonful of coleslaw on top. If you’re looking to make things even more interesting, try adding a pinch of gourmet sea salts. As a Christmas gift, my girlfriend bought me a sampler pouch of Salt Farm salts (pictured below). 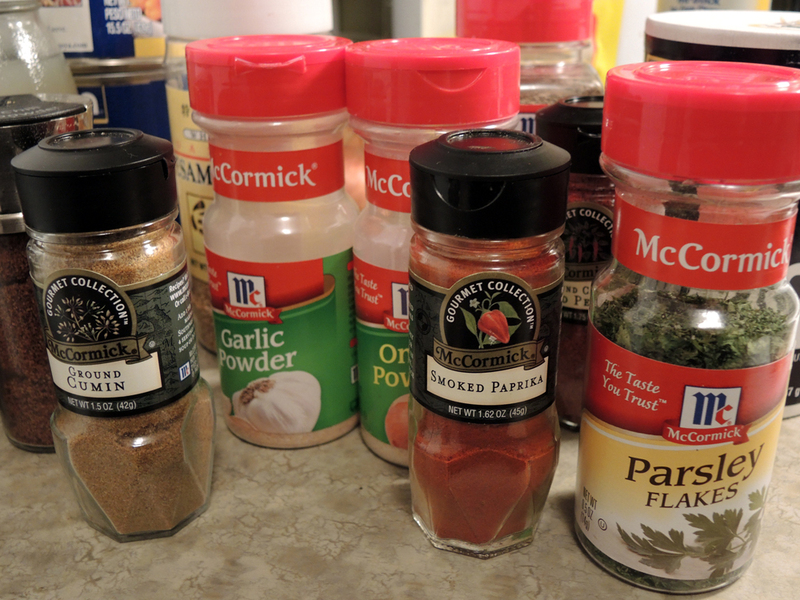 We had a blast trying out these different salts on the sliders because they really changed up the flavors. From Left to Right: Grey Salt, Black Truffle Salt, Ghost Chili Pepper Salt, Roasted Garlic Salt, and Applewood Bacon Salt. That looks very tasty. 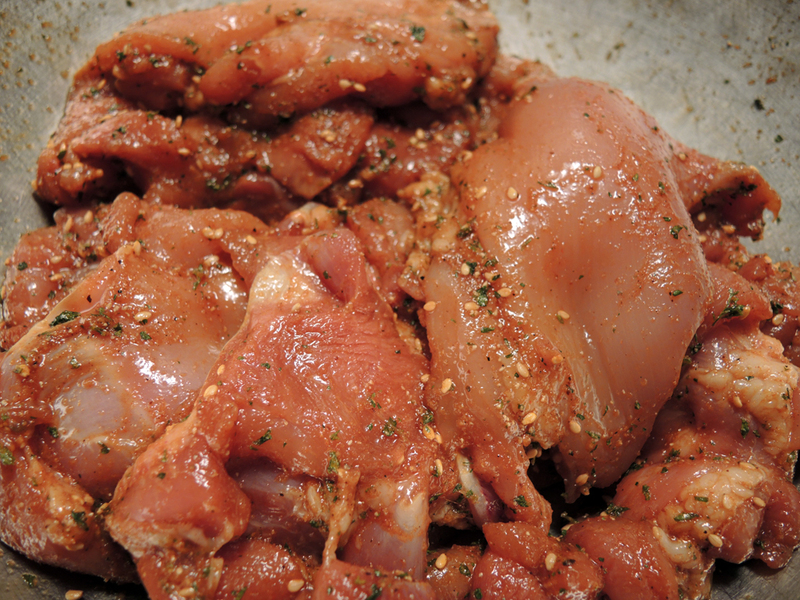 The chicken thighs are often not appreciated for the lovely meat. Low cal too! Awesome way to prepare chicken. Those salts look pretty cool. I made these last night. The deli had pre-made “Japanese-style” cole slaw, so I used that and topped with spicy asian mustard. Excellent dinner. Can’t wait to have leftovers for lunch. This looks awesome! I don’t have a grill either but really like smokey flavors. PS – I’m a new reader and I’m looking forward to reading more! Thanks for stopping by. I hope you enjoy checking out the site! I’ll be sure to check yours out as well. It looks like you have a lot of great stuff there as well that I’m excited to read.